The Yoroi-Cybaze ZLAB dissected the VBS script embedded into the zip archives delivered to the victims of a recent attack. Few days ago, the CERT-Yoroi bulletin N061118 disclosed a dangerous campaign attacking several Italian users. The attack wave contained some interesting techniques need to look into further, especially regarding the obfuscation used to hide the malicious dropping infrastructure. The Yoroi-Cybaze ZLAB dissected the VBS script embedded into the zip archives delivered to the victims, finding an inner powershell payload designed to actually download the malicious Gootkit binary from the attacker’s infrastructure. This inner script was carefully obfuscated in a clever and unseen way. At this point, a simple ASCII to char conversion make possible to decode and recover the final powershell command, unveiling the code purpose. It imports the BitsTransfer cmdlet (Background Intelligent Transfer Service) and proceeds to download and execute the GootKit malware. The initial script, at a first impression, seems obfuscated using some sophisticated techniques. 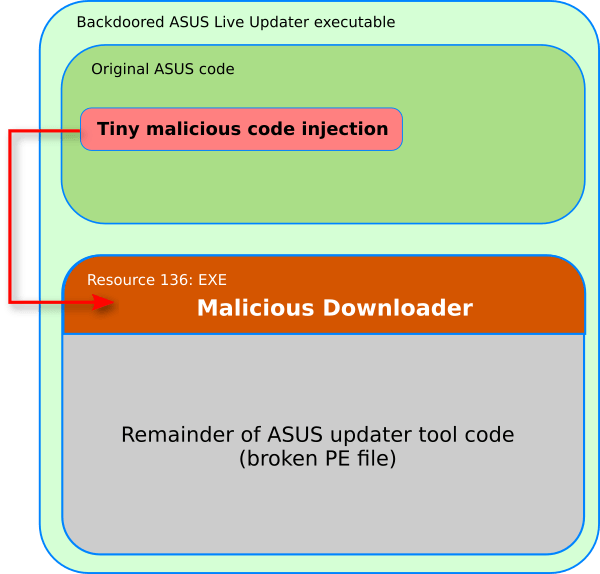 However, analyzing its actual code shows how the clever usage of simple tricks such as variable replacement or decimal encoding, is able to hide a clearly malicious Powershell script, making it nearly undetectable by common anti-malware engines. This analysis and many others are available on the official blog of the Yoroi cyber security firm.